Building an IT infrastructure based in the cloud will give your business a competitive advantage. General Electric is in the midst of a drive to relocate 70 percent of its information technology structure to the cloud by 2020, according to The Telegraph newspaper. While the move will certainly save money in many respects, the productivity boost is the primary advantage. Changes in applications that used to take 20 days to process and take effect now get pushed through in a matter of minutes — which can save thousands (or millions) of dollars over time. It's not just giants such as GE that are making such tech changes. Businesses of all sizes are deciding to modernize and transform their IT infrastructures. Sometimes, for example, organizations choose to upgrade to support new or different business models. The software-as-a-service model favored by independent software vendors has particular infrastructure demands that make traditional IT solutions incompatible, so many types of businesses can benefit from the scaling capabilities of a microservices-based architecture as opposed to a more traditional one. Not to mention, in this day and age of globalization and advancing technology, businesses must update and evolve or risk being left behind. The companies that are faster and more agile will be the most successful, so it's crucial that organizations stay on top of the latest infrastructure updates in order to keep up. Whatever prompts the undertaking, though, transforming IT is no easy feat. Especially for large organizations, siloed systems and the complexity of the IT infrastructure make change less than appealing. Rearchitecting and transforming an IT landscape isn’t done very often, and oftentimes in larger companies there's a reluctance to change how things have always been. Needless to say, updating a company's infrastructure is a costly process that takes a hefty outlay of time and effort, so if you're making the IT transformation leap, it's vital to ensure you implement a future-proof solution. Cloud providers are bringing to the table an increasingly complex range of services, so it’s easy to make incorrect assumptions or miss developments that will be available in a short time. The right provider will know what’s coming next and can help businesses choose the right services for their particular use cases. Infrastructure-as-a-service can be a cost-effective way to solve a problem, while platform-as-a-service can be used to outsource services that have fewer requirements. Not surprisingly, a hybrid approach represents a combination of IaaS, PaaS, and other services to produce an optimal result. A hybrid infrastructure will likely cost more to implement upfront, but it will be more insulated against future developments. A hybrid approach is more than just a way to reduce costs — it also offers important benefits, such as continuous uptime, that are practically a requirement in some industries. In this day and age, a hybrid approach isn't so much a question as it is a starting point. However, some companies aren't prepared to update. 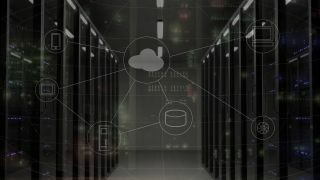 According to a 2017 report by Veeam Software and Enterprise Strategy Group, the “availability gap” between what users demand and what IT can deliver is an obstacle that 82 percent of companies face, and it isn’t going away. In fact, incidents resulting in downtime increased 36 percent from 2016 to 2017, meaning organizations that aren’t planning to update their capabilities are already falling behind. Sixty-six percent of respondents surveyed in the same Veeam report said their initiatives were harmed by unforeseen downtime stemming from network outages, cyberattacks, or infrastructure failures. Sixty-nine percent also said that availability of data is crucial for keeping their businesses up and running, which means that when these outages occur, it hurts their bottom lines. Knowing the limitations of your current architecture will help you design a system that eliminates those limitations altogether. While you can't predict the future, anticipating future needs as much as possible will allow you to work scalability requirements into your new landscape. Realizing where the holes are and how you can fill them before disaster strikes is a better long-term strategy than waiting until there's a problem and then trying to fix it. Depending on your industry, you’ll want to consider data localization, data residency, and privacy requirements. Think twice about placing data in the cloud, and view privacy concerns in the context of the European Union's General Data Protection Regulation, which will come into effect May 25. GDPR requirements are designed to standardize the data privacy laws throughout Europe. These regulations will dictate how businesses can handle customer information and will give more protection to individuals. In IT transformations and migrations, it's not uncommon to go over budget or suffer from scope creep. Involving the right partners at the right time in the process is the best way to keep these things in check. Keeping open various channels of communication and collaboration will save time and money throughout the process, but, more important, it will prevent unexpected issues or additional costs from cropping up down the road. Gartner predicts that by 2020, a corporate “no cloud” policy will be about as common as a “no internet” policy is today. In fact, by 2019, the research and advisory firm estimates that 30 percent of the largest vendors will have a cloud-only policy instead of the cloud-first approach that has been favored in recent years. For businesses that want a competitive edge, building an IT infrastructure based in the cloud will reap dividends. Many organizations are already making the move to the cloud, and those that want to stay competitive will need to stay up-to-date.